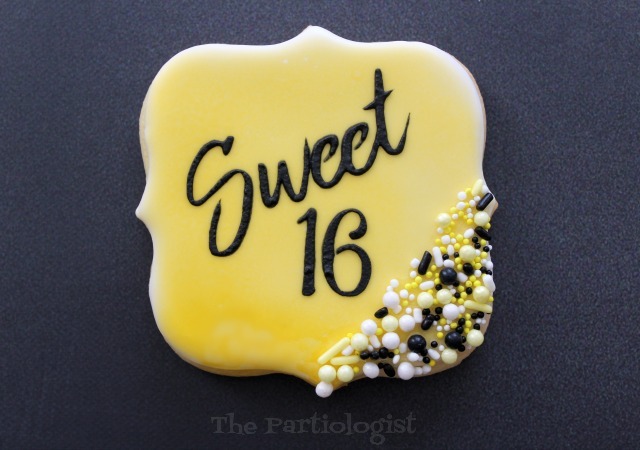 The Partiologist: Sweet Sixteen Cookies! If it were my birthday, I would be celebrating with chocolate. So I guess you could say I celebrate my birthday every day. 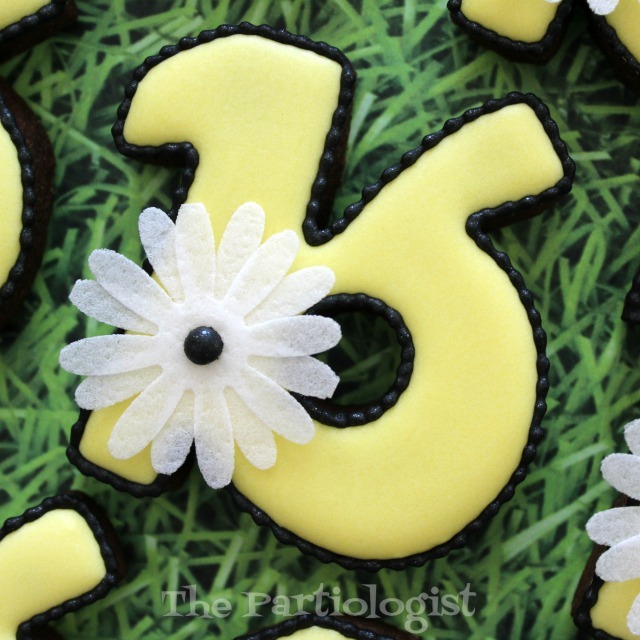 Today, however, I'm still celebrating the daisy themed 16th birthday. 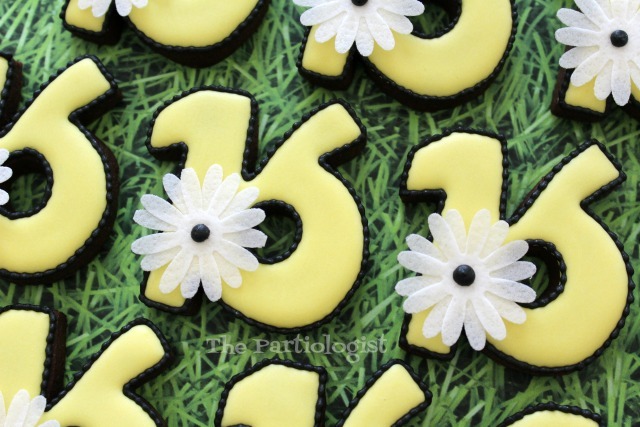 And what better way to celebrate than with chocolate and cookies? None really. They were quite simple to make as you'll see in the video. 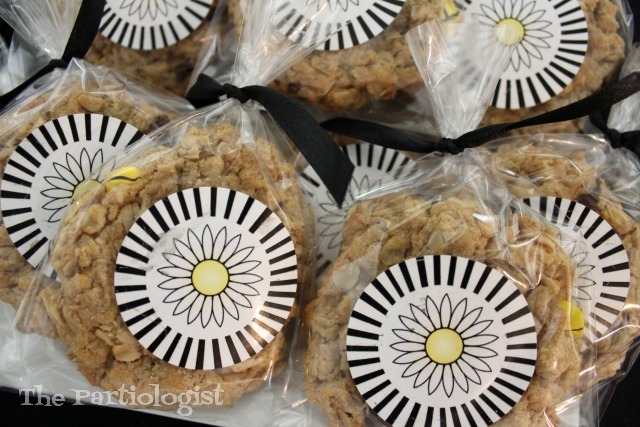 Although the flowers look like paper, they're edible, made with wafer paper. I know there are so MANY uses for wafer paper and I truly think this is the easiest one. A short video showing the cookies being made. Make the little icing beads as the border, using a #1 round tip. 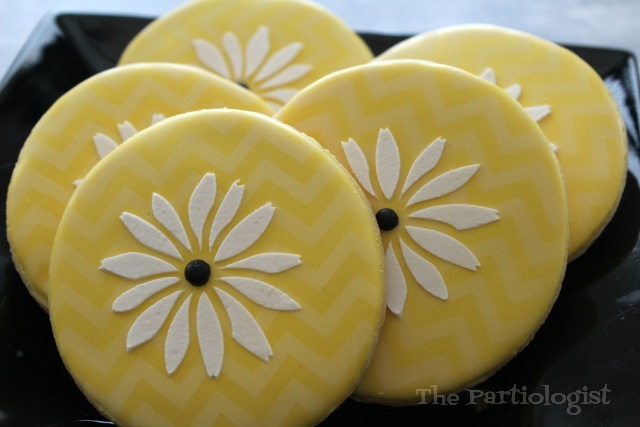 I used a paint brush dipped in water to adhere the two wafer daisy papers together. I originally planned to use a bead in the middle of the flower, then realized piping the center with royal icing was the easiest. And I know you like easy. Can you tell I never stack the cookies? I just can't get past worrying about them getting smashed. I've been making cookies with buttercream for so long, it's hard to stack. Don't you think these are pretty sweet? 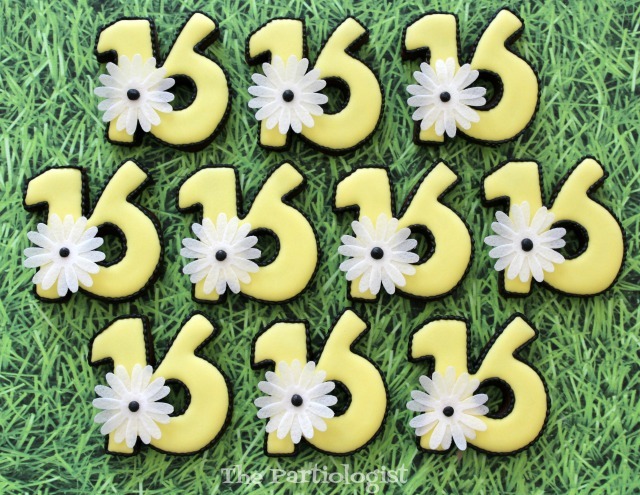 Sixteen. 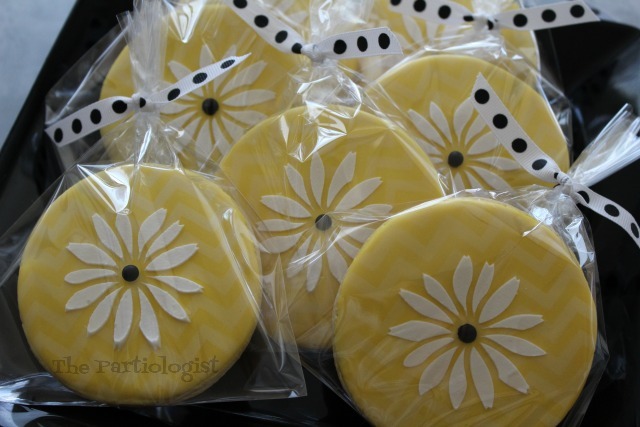 Because I had several designs in my head, I had to make more cookies. And a cute label for the monster cookies! And because they didn't turn out like I planned, I had to make even more. I won't go into what went wrong here, because I added sprinkles and sprinkles fix everything. These were cute, don't you think? No, nothing wrong with these, except this is not what I had planned. And the packaging made them even prettier! 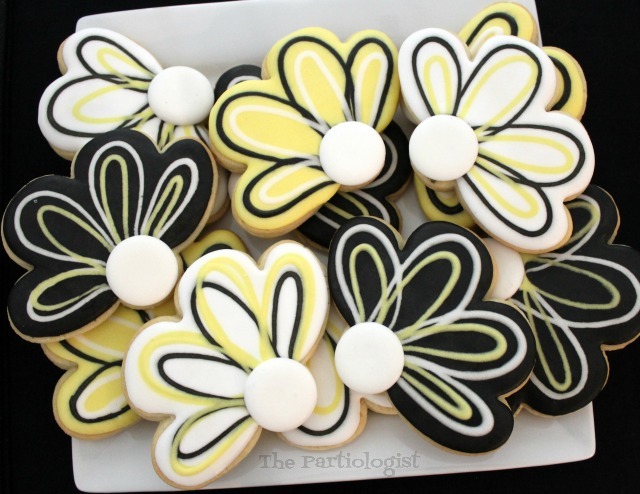 Of all the cookies in the Daisy Land, can you pick your favorite petal? I love working with wafer paper and I'm getting ready to try something new! Thanks for the sweet comment! 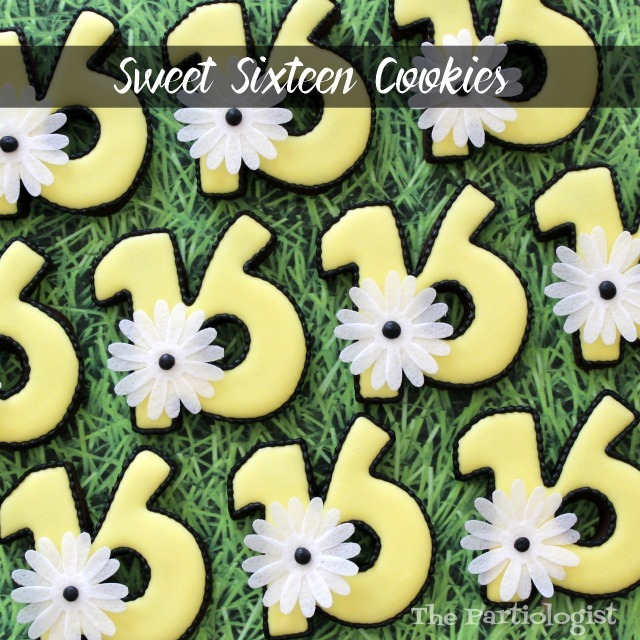 They are all adorable, but those sweet 16s are just so DARLING!! 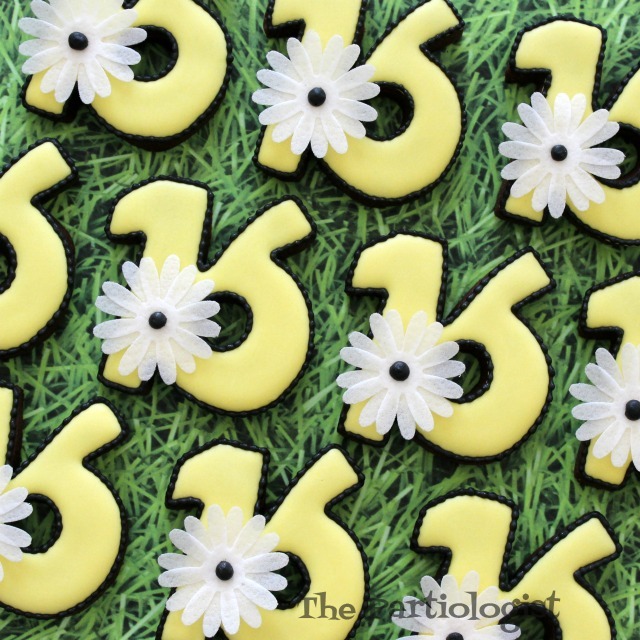 My granddaughter will turn 16 on her next birthday and I would love to make them for her! That wafer paper daisy!!! These are adorable!! Where did you get the 16 cutter? Thank you Holly, I think I picked it up at Michaels years ago.